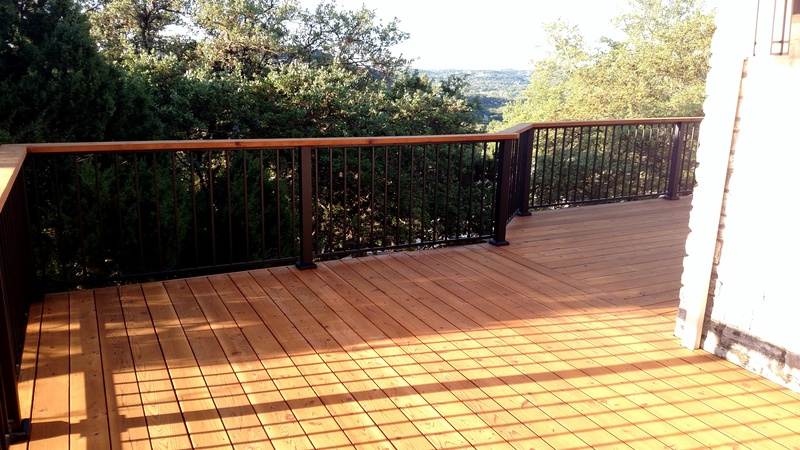 North Cat Mountain, TX, homeowner enjoys the view from his new deck! This might be one of the strangest ways we’ve heard of to get a new deck. When life hands you lemons, you make lemonade, right? This North Cat Mountain/Greenbelt area homeowner certainly made that statement true recently when his deck was destroyed in an accident. This home featured a second-story wooden deck that wrapped around two sides of the house in an ‘L’ shape. The views from the deck are glorious. The home in North Cat Mountain, TX, overlooks the Greenbelt, a beautiful, wild, undeveloped area near Austin that didn’t get its name by accident. One end of this large deck was supported by stone pillars at the edge of the home’s driveway. Maybe you can see where we’re going here, but we’ll finish the story. A neighbor’s car ran into one of the pillars, destroying not just the stone pillar itself but the deck it was supporting. The structural integrity of the entire deck was compromised. If this looks like a whole bag of lemons, our client soon found out he was getting lemonade. Although the homeowner didn’t have insurance pay for the entire project. 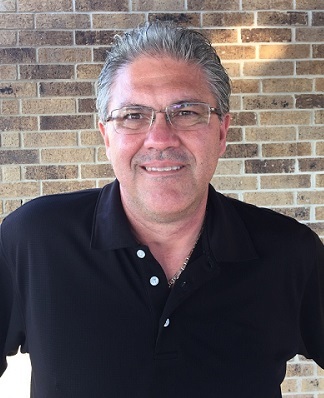 They were able to achieve the upgrades and repairs needed by working with insurance and their own funds, which made it possible to improve the entire structure. When Archadeck of Austin consulted with the homeowner about the design for the replacement deck, he didn’t want to make many changes. The layout of the original deck was pretty much just right. We built the new deck using cedar decking boards and applying a custom stain to the wood. We did change the configuration of the stairs leading up to the deck, and we updated the overall look of the deck by using a newer railing design. 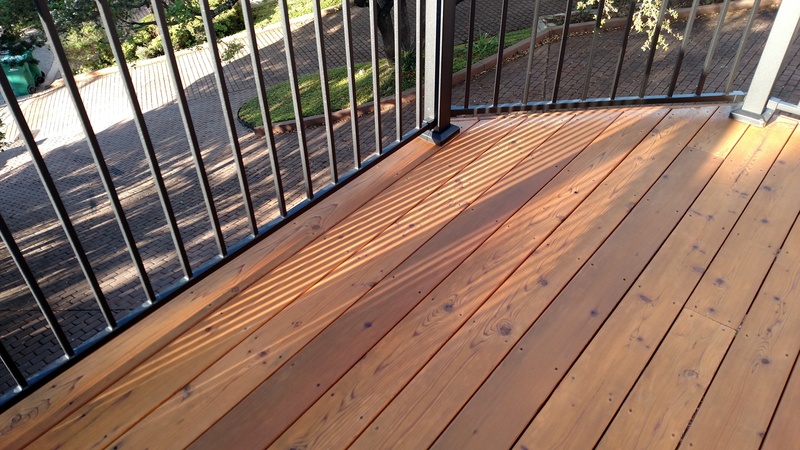 While the original deck railing was made entirely of wood, the new Fortress railing system features 3″ steel posts and railing with 2×6″ cedar railing caps stained the same color as the deck. The thinner metal pickets of the new railing system allow deck-sitters to see more of the incredible view of the Greenbelt. 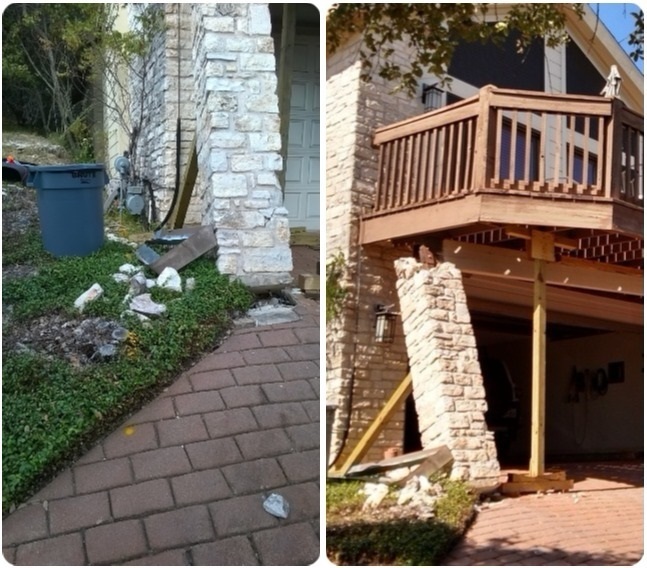 Additionally, Archadeck of Austin also rebuilt the masonry columns and replaced the supports within because they did not meet building code. Fortunately, this was within our project realm, as we are not just a deck builder, and have the ability to do things that competitors can not. The finishing touch to the project was staining the underside of the deck which serve as a covered patio. Has life handed you lemons lately? If your outdoor living structure needs to be replaced — for whatever reason! — contact Archadeck of Austin today at (512) 259-8282 or via email at jim.odom@archadeck.net to schedule a free design consultation. This entry was posted on January 12, 2018 by austinporchandpatio. It was filed under Archadeck of Austin and was tagged with Archadeck of Austin, Austin deck builder, Cat Mountain Deck Builder, Cat Mountain Elevated and Second Story Decks, Cat Mountain TX decks, Cat Mountain Wooden Deck Builder.